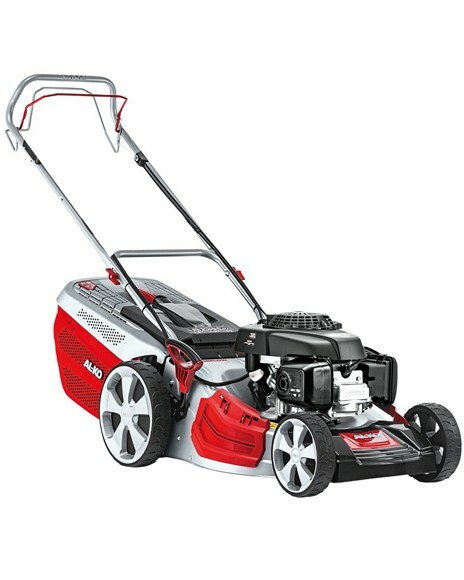 The AL-KO 46.7 SP-H is a 46cm (18") self-propelled lawnmower with the 4INONE function powered by a high quality Honda engine. This durable lawnmower offers mow, collect, side discharge and mulch functions whilst the ergonomically shaped handles and wheel drive ensure user comfort is maximised. The XXL rear wheels allow easy maneuverability during use and the integrated storage position enables the mower to be stored vertically to save space. The 70 litre Easy Click collector box with optimum aerodynamic airflow combines with the new, deeper Max Airflow cutter deck ensuring maximum collection and box filling performance. Now as for the price of this machine it has been lowered by over £100 for 2019 and now we belive takes some beating in the value race. Take a look at these features for a price tag of £449 we were selling the equivalent machine to this for £489 over 5 years ago. ALKO have just bought out the UK importer and have taken distribution inhouse giving significant cost savings not cuts in quality which we so often see.